The Fitzwilliam String Quartet, together with violist James Boyd (of the London Haydn Quartet) presents a historically informed performance of Bruckner�s String Quintet and String Quartet. This is the first recording to use gut strings (a special set from Dan Larsen in Minnesota was obtained specially for this recording) and original instruments at the correct pitch for the time. 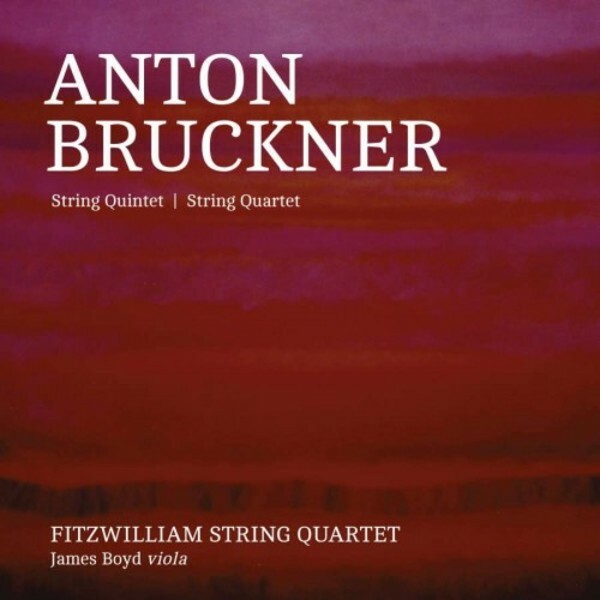 Having first tackled the Bruckner Quintet nearly forty years ago , the Fitzwilliam�s starting point was achieving the famous �Bruckner Sound� as well as considering tempo, bow strokes, use of vibrato and portamento in the performance. With many great moments (such as the Adagio), the Quintet is guaranteed an exalted place in the hierarchy of chamber masterworks. The Fitzwilliam String Quartet is among the longest established string quartets in the world. Now well into its fifth decade, the quartet is equally at home on both modern and historical instruments. Founding member Alan George was at the forefront of the period performance movement, playing in John Eliot Gardiner�s Orchestre R�volutionnaire et Romantique for over a decade. The Fitzwilliam String Quartet first became well known through its close personal association with Dmitri Shostakovich, who entrusted the quartet with the Western premieres of his last three quartets.